Evan is a Colorado native, and received his Information Systems degree from the University of Colorado at Boulder’s School of Business. Starting in 1997, Evan began working in the technology industry as a technical support representative for America Online and GTE Internetworking. Evan also worked as a technology consultant and freelance web designer until 2001, when he helped start an ISP focused on servicing resort communities. Evan became the President of Resort Broadband, LLC in 2009 charged with everything from supporting the technology to making daily operations decisions. During his tenure, the company grew rapidly which included expansion as a WISP, CLEC and FTTx Provider. Through the course of business divestitures, Evan joined the Mammoth Networks team in 2014. 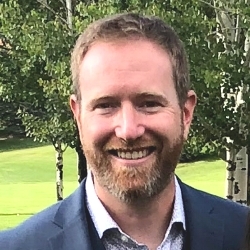 As the VP of Colorado Operations, Evan has been working to help improve rural broadband accessibility, resiliency and affordability through the development of Public-Private Partnerships, unique middle mile solutions and non-traditional last mile solutions.